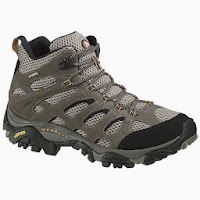 You may be looking for the best possible hiking boots as either due to needing a new pair after your favorite old pair has finally worn out or maybe this year the call of exploring the outdoors has led you to buying a first pair but aren’t sure exactly where to start. It can be tricky navigating through all the brands and models to find the footwear that is most suited to your needs due to certain types being preferable for particular environments and types of trails so Nightgear has put this list together to show the best of this year’s Top 5 Hiking Boots to help you choose the perfect pair. These have all the favored style of the classic Bugaboots but have been packed full of technical features making them a decent pair of winter hiking boots in every respect. The Columbia Omni-Heat technology is comprised of a thermal reflective liner and 100g of insulation which works to effectively keep heat inside so your feet stay nice and warm while the oiled full-grain leather shell, suede upper and pigskin collar and tongue stops any water and works to prevent colder temperatures from getting inside. Each of the Columbia Bugaboot Original Omni Heat Boots outsole is made from Omni-Grip high traction rubber so even the worst trails won’t stop you thanks to their grip, while the moulded EVA midsole provides all day long comfort so if the weather and the route ahead is tough then these are ideal. It would be a surprise if the Merrell Moab Mid GTX Boots weren’t on a top list for walking or hiking footwear as they are a well-loved bestselling model and while there are different types of Merrell Moab, this Mid-height version is the perfect late spring/summertime hiking boot for when sudden unexpected showers and downpours inevitably occur. 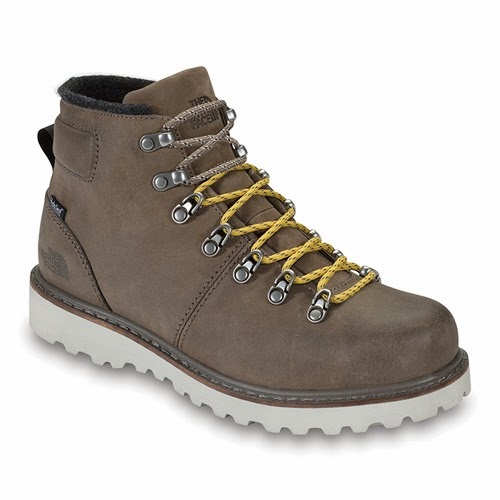 This is due to the Dura leather upper and GORE-TEX PCF lining that make the boots waterproof while the mesh element to the upper keeps them breathable for better internal temperature regulation during warmer weather. They are also lined with Aegis to stop microbes from building up so your feet remain fresh while an Ortholite footbed and moulded EVA footframe offers a lot of comfort and the Merrell Air Cushion built into the heel gives shock absorption and extra stability. Having Vibram multi-sport outsoles ensures excellent grip and braking power even on wet and muddy ground making these ideal for any hike during the summer months. For over four decades The North Face have done nothing but create the ultimate cold weather gear for explorers and travelers of every type so it stands to reason their footwear would end up in any top rated lists, especially the multi-season North Face Ballard Boots. 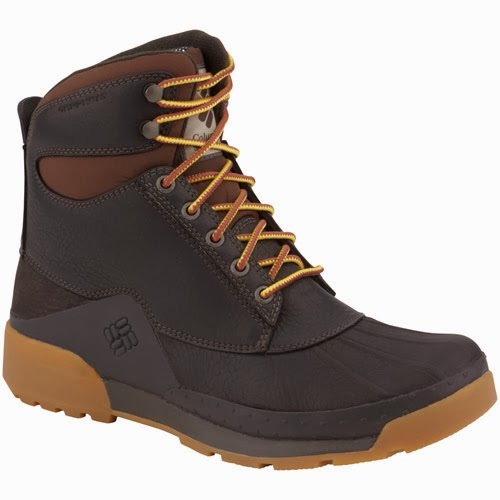 These have been specifically designed to have a mixture of fashionable style but with the durability of a heavy-duty work boot and the technical features of premium performance footwear so no matter the weather conditions or the location you have the ideal footwear. These cleverly have complete waterproofing thanks to full-grain leather and a HydroSeal membrane and are still breathable but the inclusion of PrimaLoft Eco insulation results in a maintainable internal climate ensuring that your feet are comfortable no matter how hot or cold it is outside. The midsole is a compression moulded EVA Northotic footbed with Poron inserts which give you a lot of comfort and the TNF Winter Grip outsole has the clever IcePick temperature sensitive lugs which gives grip no matter what the conditions are so if it’s an all year round hiking boot you want, this is undoubtedly it. 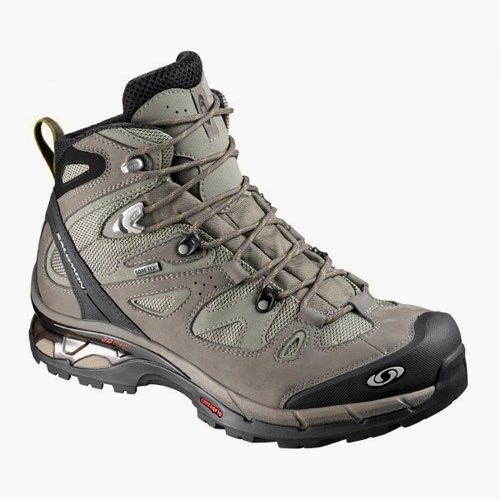 Most hiking boots can be heavier than your average boot mainly due to things like waterproofing, better cushioned support and thicker outsoles which may not necessarily be suitable for your needs so you would be better off with Brasher Supalite II GTX Boots instead. 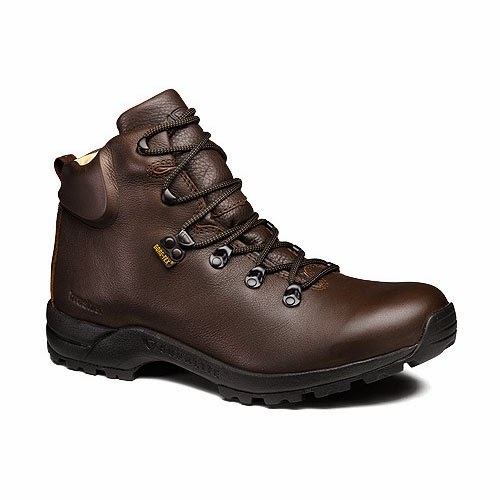 The brand is known for their incredibly popular Hillmaster boots and the Supalite has many of the features only is much lighter so each pair has full grain leather uppers with GoreTex lining making them fully waterproof and protective against the terrain found on many hiking and walking routes. The Supalite outsole is the boots’ namesake and has enhanced grip and traction and is very hardwearing but manages to be much more lightweight than other boots that offer the same. Another hiking boot that is light in weight is the Salomon Comet 3D GTX Boots but unlike the previous classic looking Supalites they are packed full of technical features to help better support the foot. Like all boots on this list these are waterproof due to a combination of a GoreTex membrane and nubuck leather but they have a non-marking Contagrip outsole so while you can enjoy firm grip on the ground wherever you are these boots give the added bonus of not allowing mud and wet debris clump onto them. The interior of the Comet 3D GTX Boots is filled with comfort and protective elements that include a rubber toe cap, heel foam, and Ortholite footbed and a moulded EVA midsole so they will remain comfortable throughout a 1-2 day hike. Whichever of these better suits your needs from a winter or summer specific walking boot to an all-rounder that is light and comfy will be reliable and last you though many a trail, though one thing to note as with any footwear that includes waterproof elements is that they do need re-proofing every so often so it’s best to check the care with every pair you buy.